It’s that time of the year again when every conversation starts with the words, “oh my, how time has flown!” Over and above Christmas carols and the contagious festive spirit, this time of year is also characterised by a heavy barrel of stress which, for us as moms, is mostly caused by the financial burden of Christmas gift shopping. Set a hard limit on the amount you’re willing to spend per gift, and enforce it! 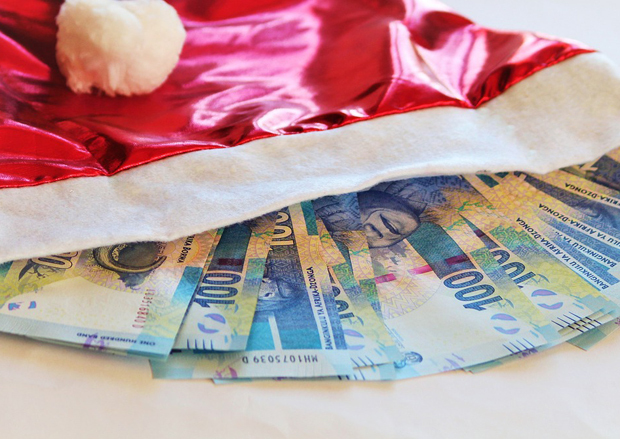 Even if the intended gift is R10 over budget, be strict with yourself and keep hunting for the perfect gift. Buy many little gifts for each child, instead of one big one! After all, the thrill of receiving Christmas gifts is the unwrapping – so it’s the one time where quantity trumps quality. Go shopping alone, that way you can’t be influenced or manipulated by little pleading puppy dog eyes. Giving, not having! This should be your mantra this festive season. Yes, you’ll see plenty of things you love, but always remember that you’re not shopping for yourself. Plan your list in advance, and don’t postpone your shopping spree until the week before Christmas. After all, running around for last-minute gifts is a sure-fire way to overspend. Enforce “combined gifting” when it comes to gifting extended family or friends. This essentially means buying one gift for the entire family to enjoy together. Alternatively, speak openly with friends and family about either reducing the value of gifts or scrapping the gift exchange altogether. Do a Secret Santa gift exchange if your kids are a little older. That way everyone only has to buy one gift, and the secrecy adds a whole new level of excitement.